I embrace my own autism, and I embrace my son’s autism. I’m even writing a book called “Embracing Autism”. With that said, I’ll be the first to admit that sometimes embracing autism is hard. Two nights ago I had a major meltdown over something that really didn’t matter. I struggled to breathe. I cried. I shook and couldn’t stop moving. My husband had to go get my weighted blanket and help me to calm down. That day? It wasn’t so easy to embrace autism. When I have a meltdown. When I struggle to communicate. When my son gets left out of groups. 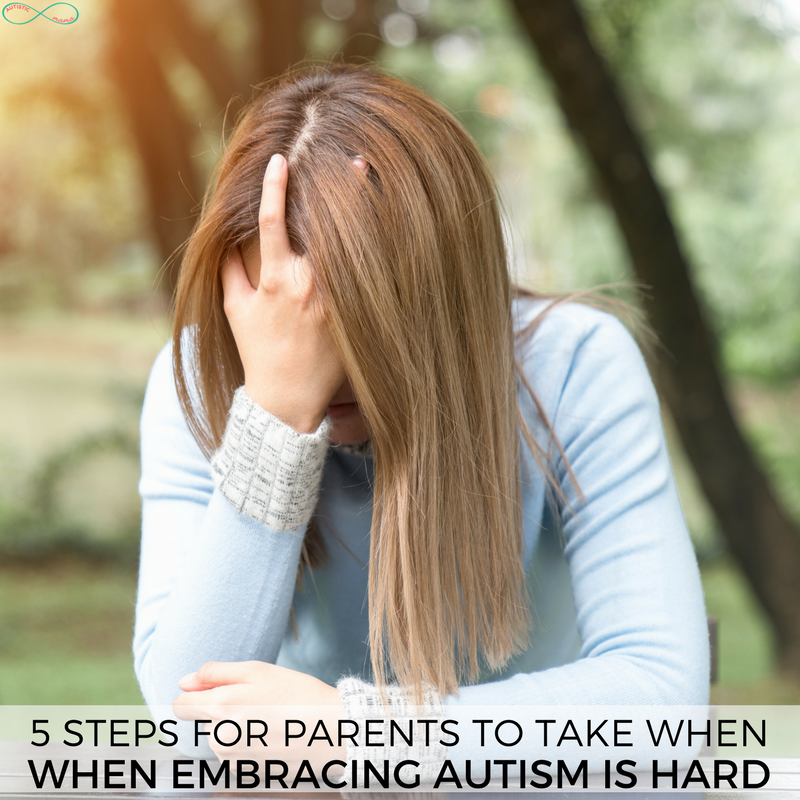 But not only is it important to embrace autism, even when it’s hard… It’s almost more important to embrace autism when it’s hard. But how do we do that? How do we embrace autism when we’re really struggling? Before I jump into these steps… I just want to take a second to tell you that you are not a bad parent. If you’re struggling to embrace autism today, that does not mean that you’re a “warrior mom” or that you’re harming autistics and your child. This is honestly just a part of parenting. Sometimes it’s hard for me to embrace my son’s giftedness. Sometimes it’s hard for me to embrace my daughter’s sassiness. Everyone has days when parenting is hard. The fact that you’re here reading this post about how to get back to a good place with your child’s autism instead of posting negative things on social media complaining about your autistic child tells me that you’re an excellent parent. With that out of the way… How do we get out of this funk and get back to embracing autism? This seems cheesy, I know, but this simple mindset shift will immediately help you to reconnect with your autistic child and remember that you’re on the same side. It’s hard when your child is screaming in the grocery store. It’s even harder to be a child out of control and overwhelmed at the grocery store. Take a moment to remember that your child isn’t trying to make your life harder. Now take it a step further and remember that your child’s autism isn’t something that happens to you, it’s a part of who they are. Just like a child being a boy isn’t happening to you, it’s a part of who they are. Self-Care is often the last thing on your mind when you’re overwhelmed and struggling to embrace autism… I know. In fact, after Miss S was born I was really in the trenches. We were taking two boys to five therapies between the two of them. Chris was always working, and I was always alone. I actually went about six months seeing no adults other than Chris, my kids’ therapists, and my mom (who watched the other kids while I took the kids to therapy). My best friend came and took the kids for a weekend while Chris and I got away. It did wonders for my mental health. Now, I know that not everyone has the opportunity to escape like that. So I came up with a few simple ways to prioritize self-care as a mom of autistic kids. Many times when parents feel it’s hard to embrace autism it’s because you’re on this journey alone (or it feels like it). 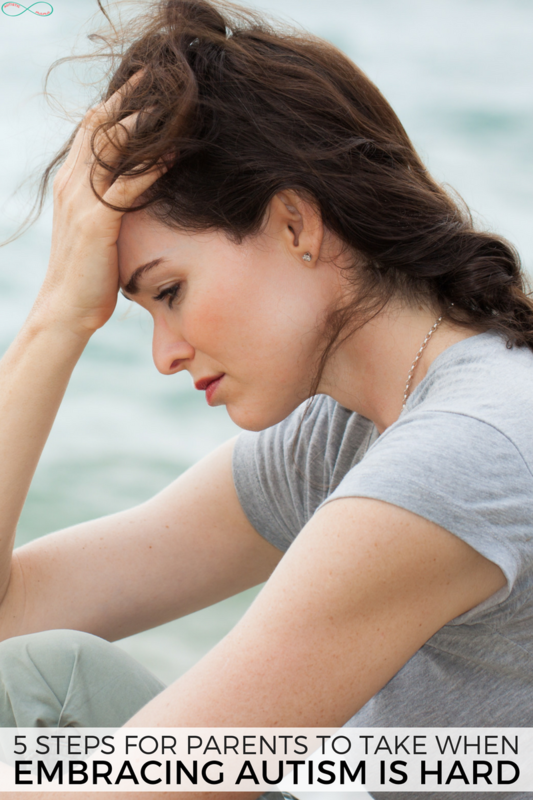 Maybe your spouse doesn’t really support the therapy sessions. Maybe your parents think that autism is an excuse for bad behavior. Maybe your friends don’t come around anymore. I get it. I promise I do. I’ve dealt with a lack of support and it can feel seriously demoralizing. This is when it’s so important to seek out extra supports. Maybe that looks like connecting with other parents of autistic children in Facebook groups. Maybe that looks like getting respite care through your state. Maybe that looks like having your spouse take something off of your plate, or hiring a mother’s helper for one afternoon a week. 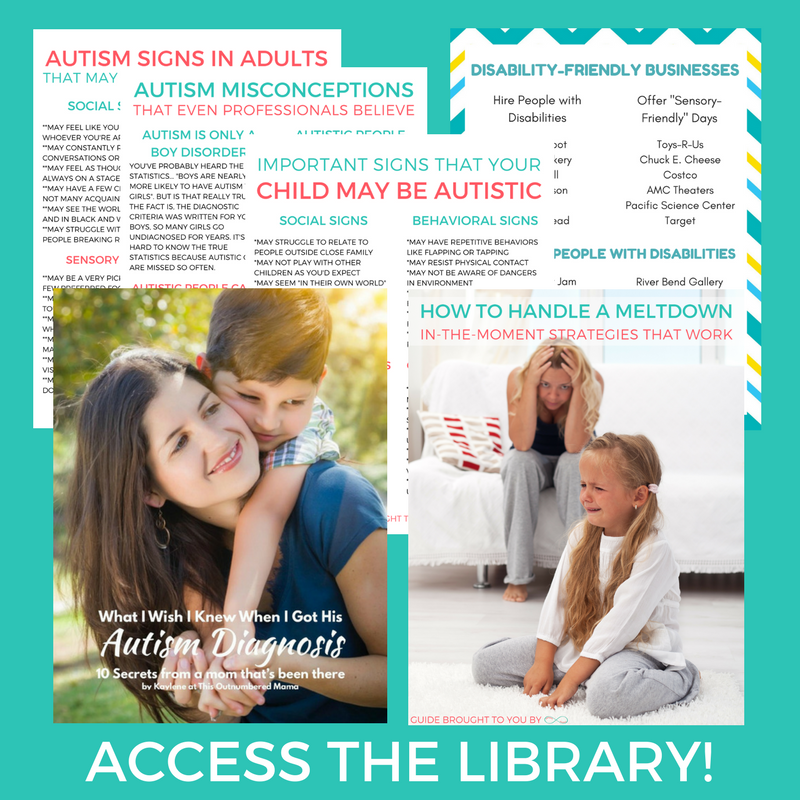 Whatever the solution, when you’re struggling to embrace autism, it’s time to get more support! Sometimes you need to vent. I vent all the time. Friend one and I are “freak out partners” for each other. We rate our problem on a scale of 1-10, and we give each other a timer. “You can freak out for seven minutes and thirty-four seconds.” We are then free to vent, scream, cry, and freak out until our timer’s up. Once the timer is up, we’ve got to shift gears and start doing something to fix the problem. Friend two, I can say “I don’t care if this is completely my fault, I want NO logic in this conversation”. She then knows that I’m about to vent and she has to be on my side, no matter what. Once I’m done, she helps me to actually see the logic, but not until I’ve vented plenty. These friends both know and love me, AND know and love my kids. So when I complain about my kids, I know they aren’t taking that vent and using it to form beliefs about my kids. In other words, they’re safe. Now, not everyone has these friends. So where else can you find a safe space to vent? You can explain your struggle in a safe group and know that the members in the group will help you to clear your mind and know what next steps to take. When you’re struggling to embrace autism, I challenge you to take a few moments to remember the positives of autism. If you’re really committed, grab some paper and write it down. It doesn’t need to be fancy… Just think about what positive things have come from your child’s autism. Your child experiences joy over things that other people see as small and insignificant. Your child’s autism taught you how much of a fighter you could become. Your child’s autism helped you understand neurodiversity and opened up a new world to you. Your child finds things they love and embraces them fully. Your child’s autism taught you things about yourself that you never knew. Obviously, those are all examples. Your child will have their own strengths and your journey with autism will have its own positive sides. Regardless, taking time to remember the benefits of autism will do wonders when you’re struggling to embrace autism. 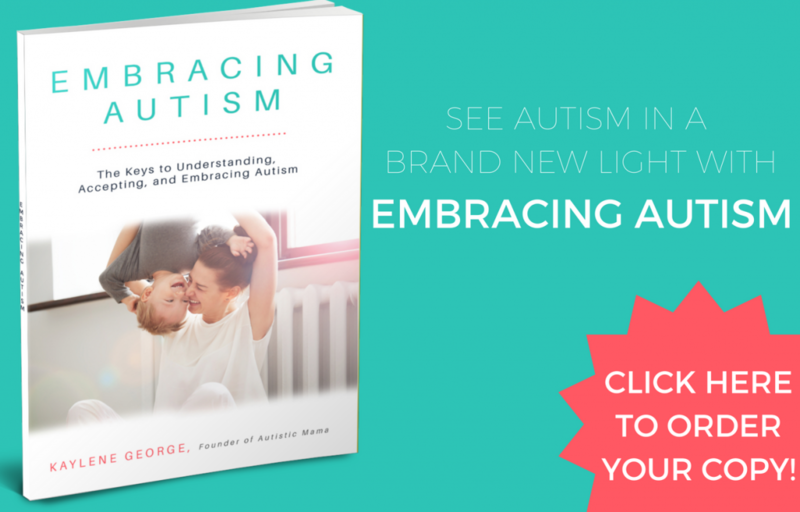 Click here to order your copy of Embracing Autism today! 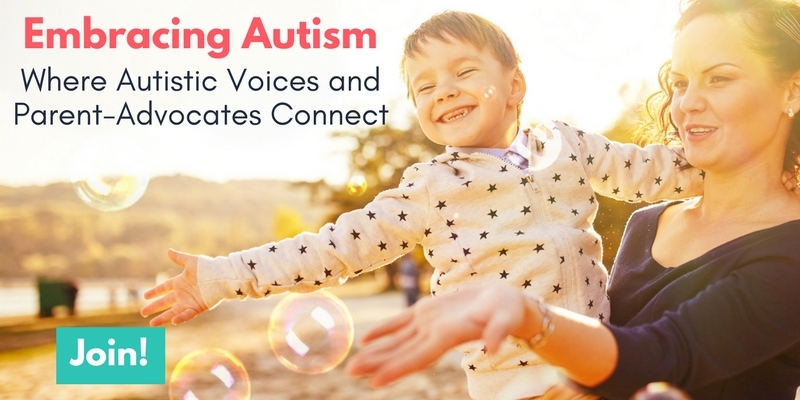 If you’re looking for a safe space with other parents on a journey toward understanding, accepting, and embracing autism, you can enter your information below to join Embracing Autism on Facebook! This was fantastic. I think many of us forget about self care! I forget to take time for myself when I know I really need. I loved the last one about remembering the positives of autism! Wonderful suggestions above and I am so pleased you write for us and recognize neurodiversity too! You can’t fill anyone up on “empty” ….Good stuff!! I know everyone is all about getting on Facebook to connect, but what about those people who don’t have it? I have my reasons for not having a fb page, so how else can I find my “tribe” without overwhelming myself with people?